Happy German Chocolate Cake Day! 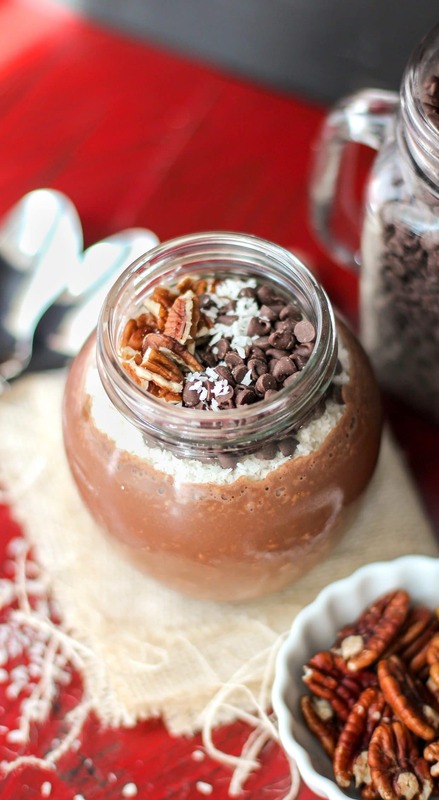 Let’s celebrate with Healthy German Chocolate Cake Overnight Dessert Oats. If you’re in the mood for cake, but want something healthy for breakfast, then opt for this deliciousness. It’s secretly gluten free, dairy free, and vegan. It’s breakfast with a 100% chance of CHOCOLATE. 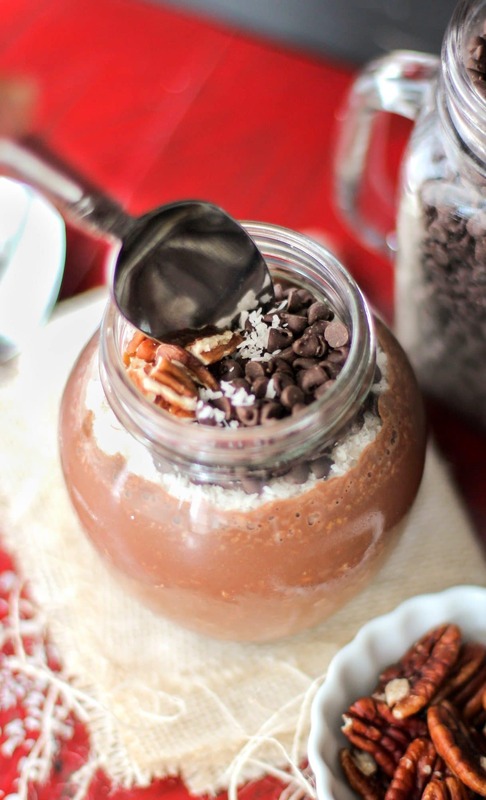 You know, the only way to cure a chocolate hangover is to have MORE chocolate. First thing in the morning. Duh. SO WHAT ARE YOU WAITING FOR?? MAKE THIS ASAP!! 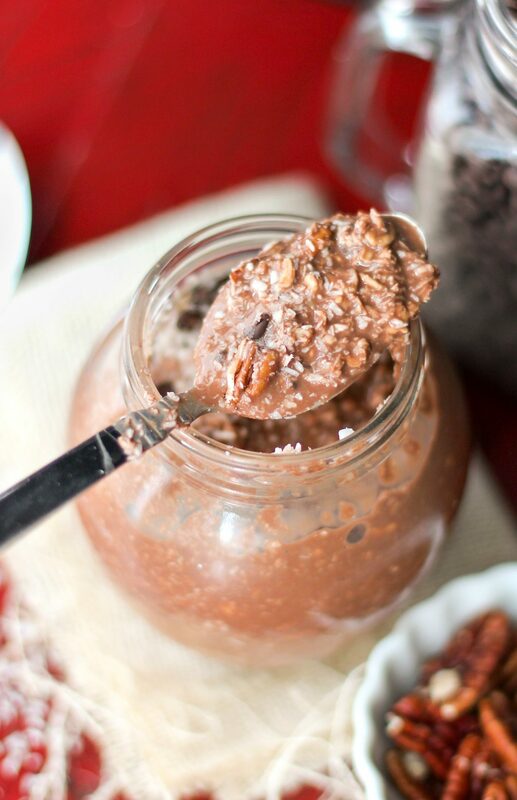 If you're in the mood for cake, but want something healthy for breakfast, then opt for this German Chocolate Cake Overnight Dessert Oats deliciousness. It's secretly gluten free, dairy free, and vegan! In a bowl, stir together the oatmeal ingredients. Cover with plastic wrap and refrigerate overnight. In the morning, sprinkle on the toppings. Enjoy! Recipe inspired by Athletic Avocado. Now that’s a healthy balanced breakfast, don’t ya say? 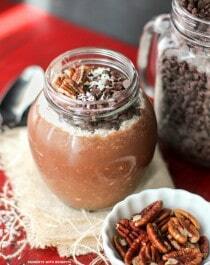 These German Chocolate Cake Overnight Dessert Oats will be my breakfast for the next two weeks. I know it.